The parliamentary Public Question Time idea flagged up by Ed Miliband recently — and blogged about here by Dr Amy Pollard of Involve — is a fascinating one, but I have to declare an interest – I came up with the same idea in my 2012 book, Democracy and Public Space (pp.143-5). In that book I fleshed out the idea a little, and in the process addressed some of the objections that are being levelled at the thought now. opposition or other minor party members would have the opportunity to press further questions in another session immediately following. In conversation with Amy Pollard, Deputy Director of the think tank Involve, who has written a blog piece on this very topic, we came up with an important modification: questioners themselves could ask a follow-up question, pressing the Prime Minister themselves, or have an appointed friend, an MP perhaps, to ask the back-up question for them. Why have an institution like this? It’s not that this would become the sole channel for public input into formal decision making. Rather, it is about the symbolic force of having everyday citizens putting their questions in what is suppoed to be their assembly to their elected representatives. It is to help reverse the symbolic dominance of parliamentarians over the proles, to disrupt the sense of entitlement that develops so easily with a privileged position in the symbolic centre of power. Furthermore, I think that something substantive would happen. Although the temptation to play to the gallery is always strong, and would affect both the questioners and the question selection process (as has been seen in some televised deliberative polls, for instance), equally one can see politicians reining themselves in when confronted with ordinary people in front of the cameras. They go out of their way to treat them and their questions with at least some respect – the deliberative publicity principle kicking in – and if they forgot themselves momentarily and reacted with derision, the audience backlash would be immediate and strong. Witness the way that Gordon Brown’s 2010 election campaign was fatally undermined when he was recorded calling a constituent a ‘bigoted woman’. And that’s why I think it is important to have something like this in the Commons chamber, in the centre of power. At the same time, I also argue for the removal of the frankly-insulting protective glass around the public gallery – a symbol of distrust and exclusion if ever there was one – and for a radical rethink of the way in which parliamentarians are trying to screen themselves off from the Parliament Square and the inconveniences of expressions of public anger. It’s certainly not to ‘fix’ politics on its own. Interventions like this need to go with a range of formal and informal innovations. But too often we look to technological fixes and don’t consider the power of symbolism, and the messages that are communicated by simple, physical performances. That is why I strongly support the idea of Public Question Time. PS: Public question times exist in many local authorities in the UK, and in the Australian states of Tasmania, Victoria, and Western Australia. Use of these forums is patchy, but they are not the correct comparators because they focus on local issues rather than national, more salient ones. A better comparator would be BBC Radio 4’s Any Questions? and Any Answers? 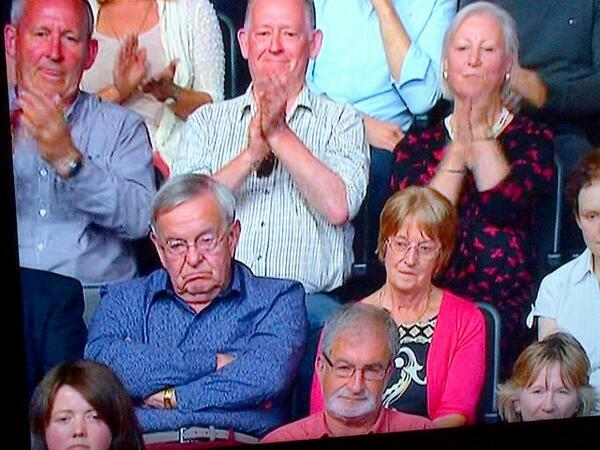 programmes, or the BBC TV equivalent, Question Time.